Welcome, fellow See’r! You found us! 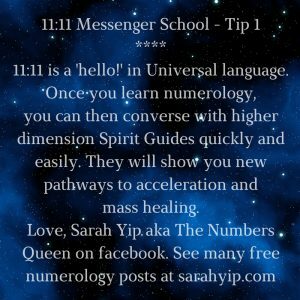 Seeing 11:11 and repeating numbers like 111, 222, 333 means that you are a Spiritual Messenger, who’s ready to ‘wake up’ and find your lifepath. It’s time to raise your vibration and become a global teacher of healing. 11:11 is a hello from the Universe. It’s the first sign that you have hidden talents in metaphysics, which you’re ready to express. 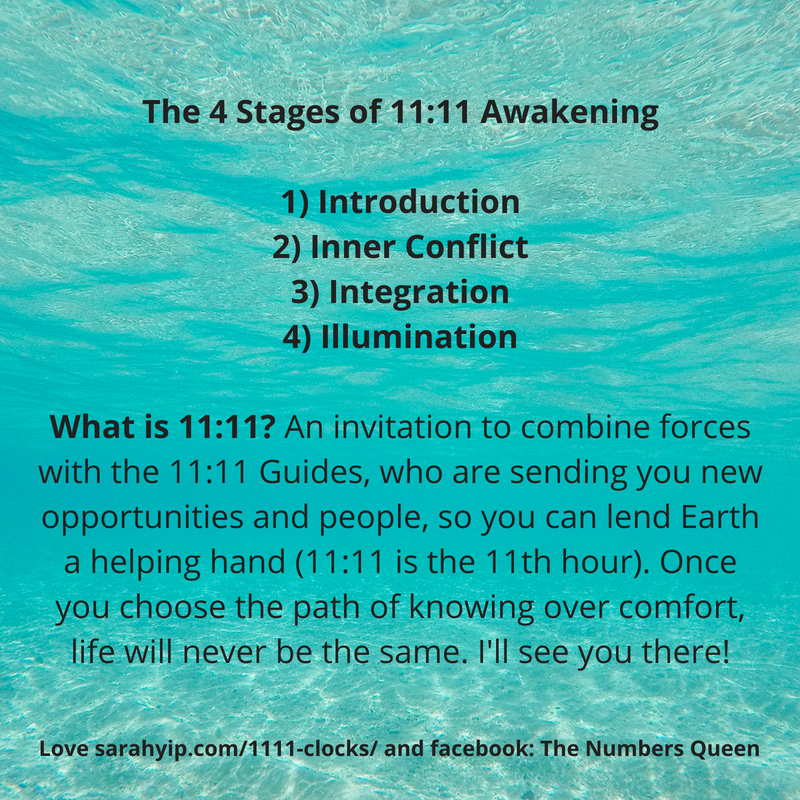 By learning meditation, numerology (see my find your lifepath page) and other modalities, you can become best friends with the 11:11 Spirit Guides, who will help you ‘flip’ into your highest purpose. Many 11:11 See’rs will transition from logical, conventional lifestyles to alternative, creative occupations and relationships, within 5 to 9 years of seeing the prompts. You’re essentially a Starseed, who’s here to help the sceptics (including yourself), to open their eyes and minds again. I am a scientist, who’s now a numerologist. So trust me, anything’s possible. Everyone is born psychic*, it’s just that someone of us got shut down. 2019 is a Universal 12/3 Year of Inner Child Healing and an amazing time to reclaim your confidence! *Intuition is our gut instinct, which has kept us alive for millenia. Don’t worry, you’re not going crazy. Since 2011, I’ve worked with thousands of 11:11 See’rs and all my findings are below. A new life is calling, and if you respond, you’ll catapault yourself into joyful service. Your Soulmates and in many cases, Twin Flame/s are waiting for you. Know that you are capable of miracles. Here’s how to reconnect to Source (aka, ‘re-source’ yourself) for the trip ahead. Sign up for 11:11 updates via the popup on my homepage. 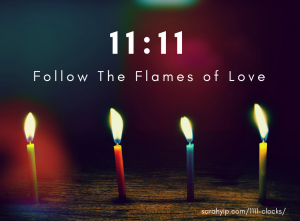 I See 11:11, So Where The Heck’s My Twin Flame? -Your Spirit Guides, Angels, passed loved ones etc. want to connect. Please meditate. 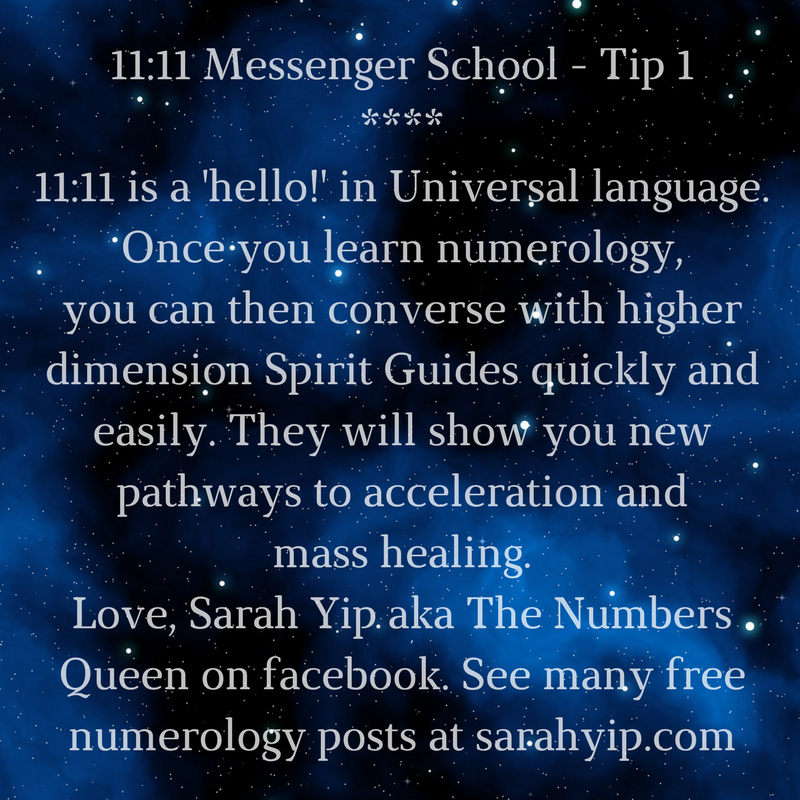 -You have skills in numerology and healing and need to start applying them. -You have met, or will soon be meeting, a Twin Flame, Soulmate or Soul group. -You are here to help the Lightworkers. 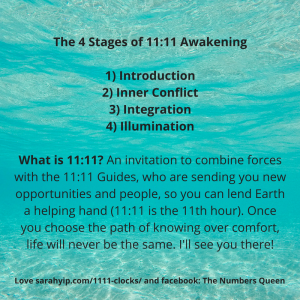 People see 11:11 as part of a suite of Ascension symptoms and DNA upgrades. -You’re at a turning point, e.g. the start or end of a 9 year cycle – find your personal year. -You have past life/ family trauma waiting to be healed, e.g. through past life regression, or personal growth. -You have ‘Starseed Energy (no Starseeds adds to 29/11). As a 29/11 Spiritual Messenger lifepath, I know what it’s like to feel alien. The day after I was told I was a Star Person, I sat in my car and the radio turned on by itself. Guess what song it played? ‘You’re The Star’. If you love staring at the night sky, are soft spoken, and fascinated by spirituality, welcome to the tribe. -You’re here to create global healing. Actors like Ellen Degeneres see 11:11. In numerology, RADIO and MOVIES add to 29/11. These numbers rule the media. I got my break on 97.3FM (see interviews), which adds to 29/11. Want to know more? Book a reading with me, my husband Kris, watch a webinar or join a numerology course. 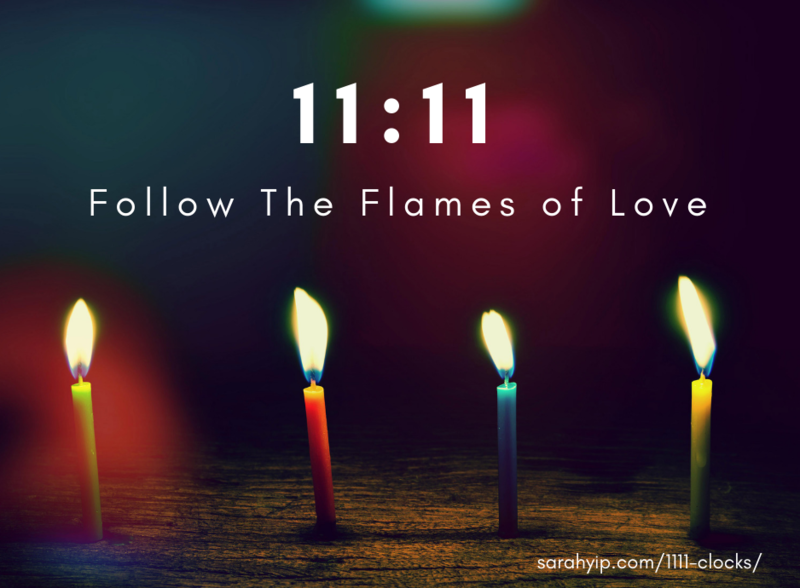 Blog fan Sharon said “I’ve been seeing 11:11 for over 3 years. Started in fall 2011. Also other repeating numbers 111, 44, 444…they are EVERYWHERE! Guess what? (I’m a 29/11 Lifepath). In the beginning I thought I was losing my mind, (until) I decided to Google it. WOW!…I thought I had read it all until finding your site. It’s amazing…I can relate to so much of it. I can’t believe how many people this is happening to. You are the first person I’ve run across that has made a Lifepath connection with this.” Thank you Sharon! I’m glad to be of service. 11:11 Means We Are All Rising Up.